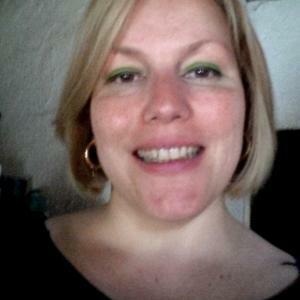 What to do in Ferrara? 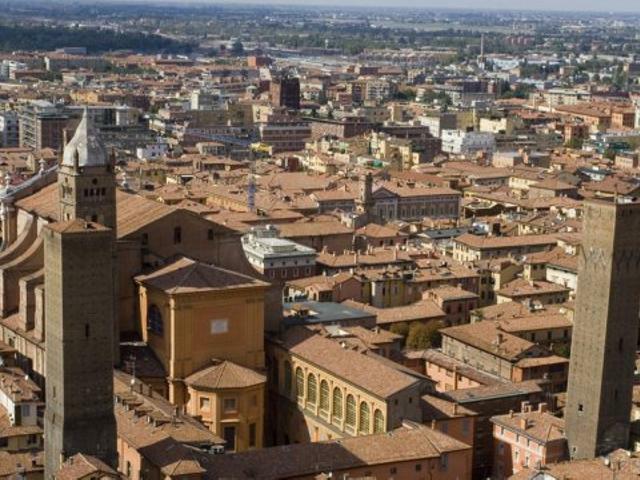 Well, the first thing you definitely should do is jump on a bicycle and discover the two faces of the city, the medieval one - with its narrow streets - and the Renaissance face characterized by the Addizione Erculea area. 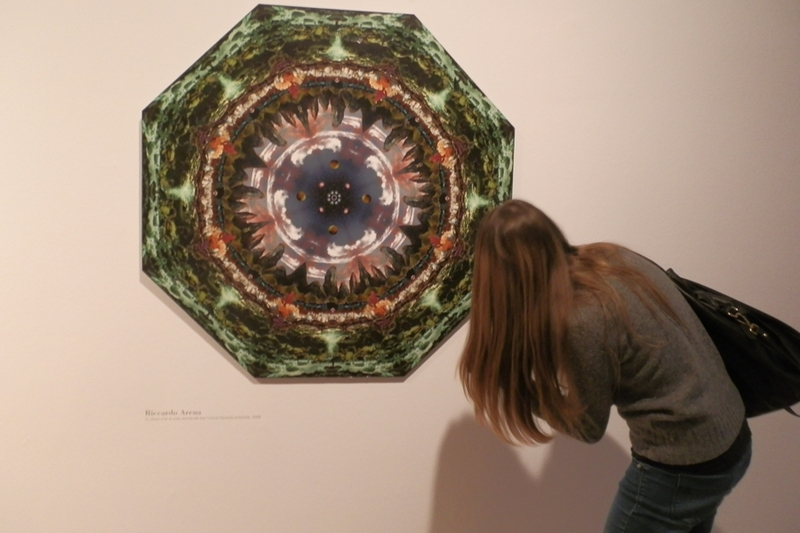 In the historic city, ancient House of Este are a wide range of things to do! 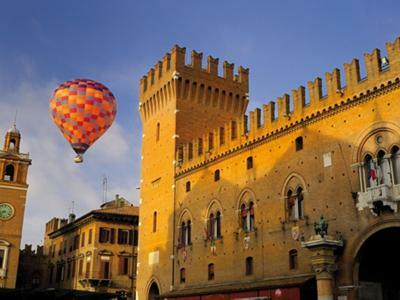 Actually, in Ferrara takes place the world's oldest palio and a spectacular Ballons Festival. It is able to capture anyone’s attention with its picturesque views, excellent cuisine and its slow bicycle lifestyle. 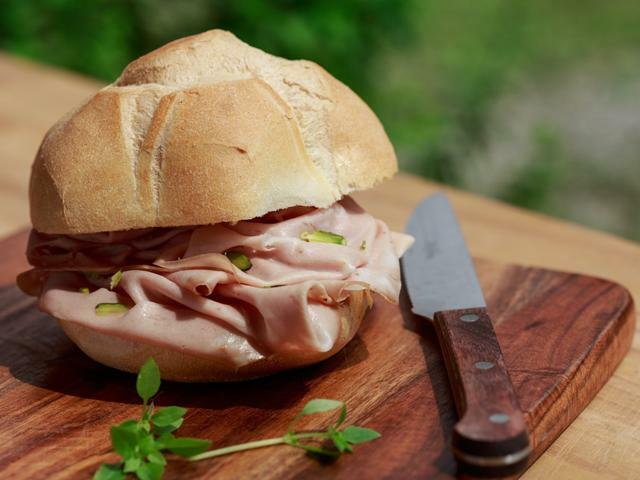 Furthermore, among the things to do in Ferrara, you cannot miss all the local activities that will make you feel "at home", like going to the open-air cinemas or spend special evenings in the most characteristic restaurants and pubs of the city. Cyclists in Ferrara are the masters of the road and the use of bicycles among the locals is, according to surveys, one of the highest in Europe. 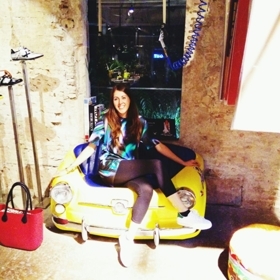 So, what better way to discover Ferrara like a local if not jumping on a bike? 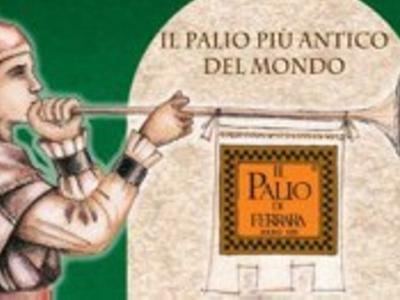 Among the things to do in Ferrara, taking part in the Palio is certainly one of the most unique and unrepeatable experience you will ever enjoy. 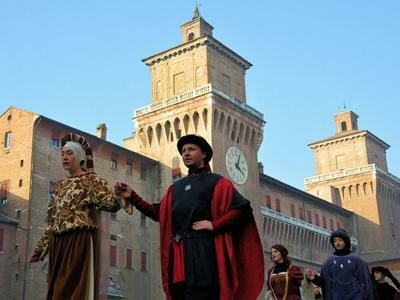 Less known than the Palio of Siena, the Palio of Ferrara is the oldest in the world. 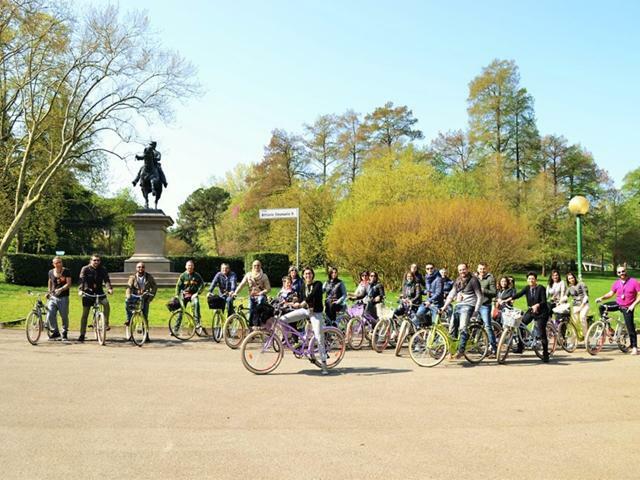 First organized in 1259, it takes place every Spring thanks to the active participation of the city. 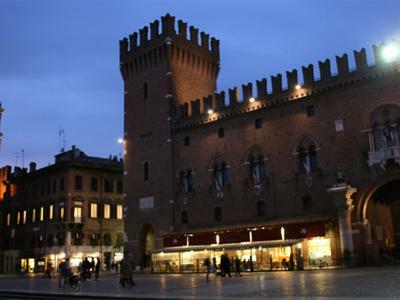 Ferrara is a university city, a city where have fun and enjoy the nights. 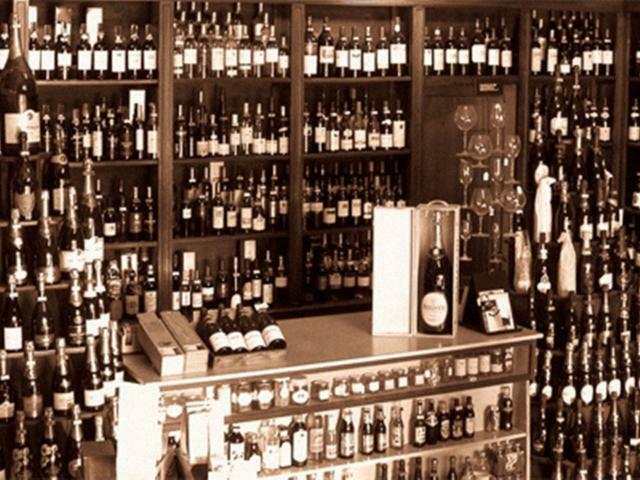 So, discover the most famous pubs of the city center and the many nightclubs located near Ferrara. The Carnival of Ferrara is characterized by a Renaissance style. It is an event that should not be missed in order to discover not only the costumes, but also the dances, history and traditions of this fascinating historical period. 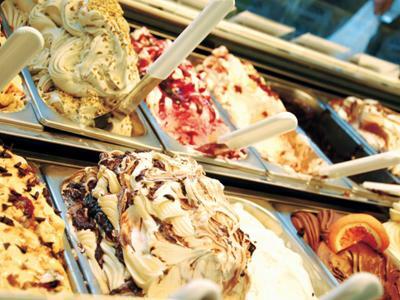 If you are looking for what to do in Ferrare during the long summer afternoons, a tour for the best gelaterie of the city is our suggestion. Any examples? 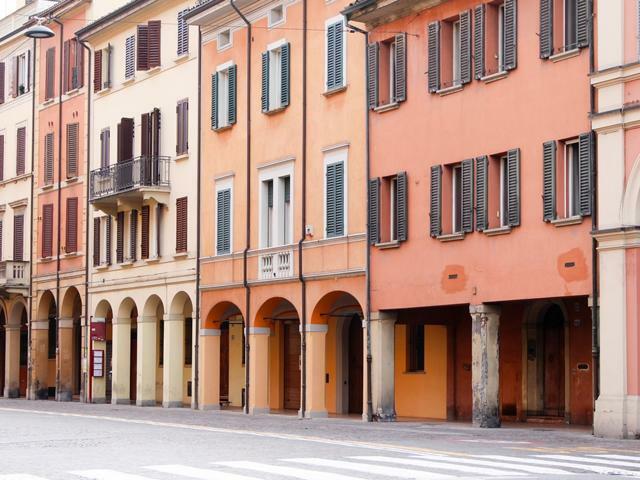 The “Gelateria degli Angeli” located in Via Bologna and the “Gelateria Baluardi” placed in the same name street. 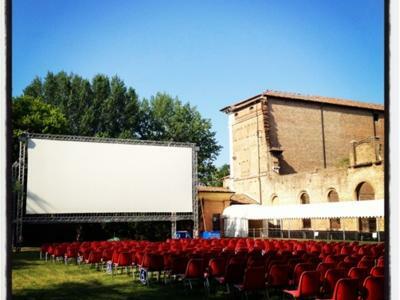 The open-air cinema offers a unique atmosphere... as the one of Ferrara organized at the park of Palazzo Diamanti. It is one of the few cinema where they still use 35mm films. 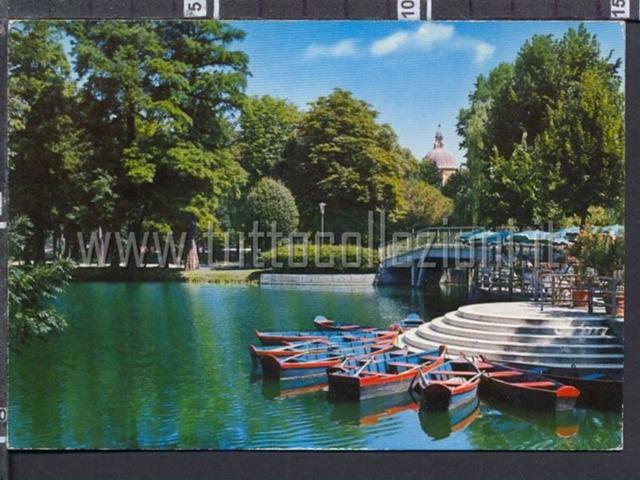 Although the sound and resolution are not as high as the multicine, it doesn’t matter because watching a movie at the Park in the city is one of the best new traditional things to do in Ferrara. 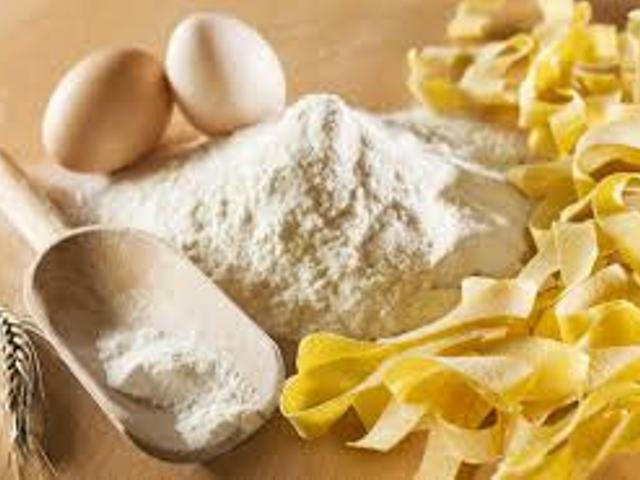 One of the best things to do in Ferrara is doubtfully taste its excellent cuisine, a fusion of regional dishes with the traditional Venetian recipes. 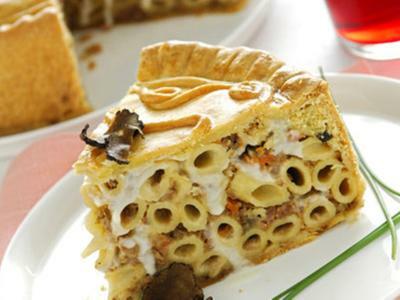 If you are looking for where to eat the” Pasticcio di Maccheroni” and “ Salama da Sugo” go to Al Brindisi wine bar, the oldest osteria in the world! 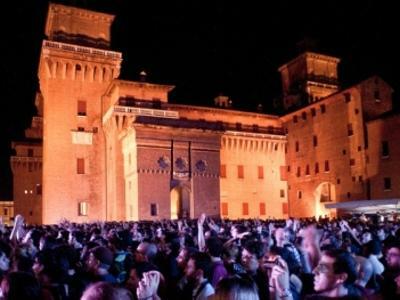 What to do in Ferrara if you love both music and stars? 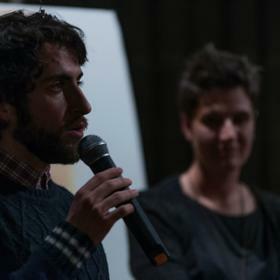 Enjoy the festival “Ferrara sotto le Stelle” dedicated to all contemporary and independent music! 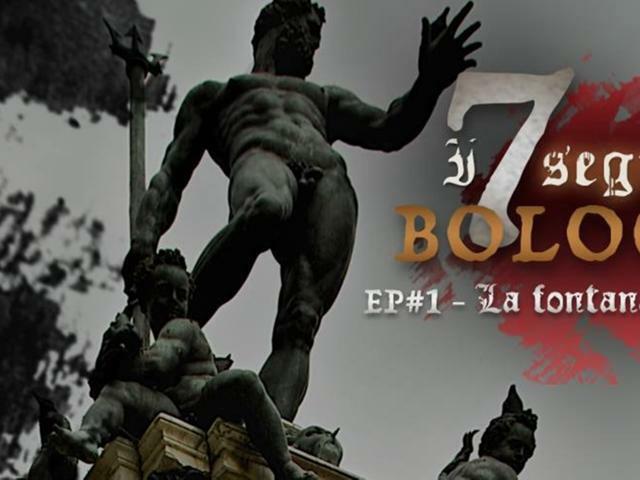 It takes place each year (from April to July) in the beautiful setting of Piazza Castello. Check out the concert program of this year and you will not regret! 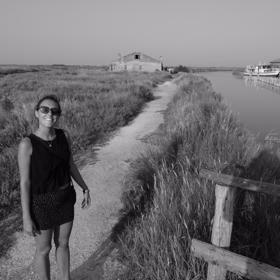 Less than 50 km from Ferrara, heading to the coast, you will find Comacchio, a picturesque fishing village nicknamed Little Venice. 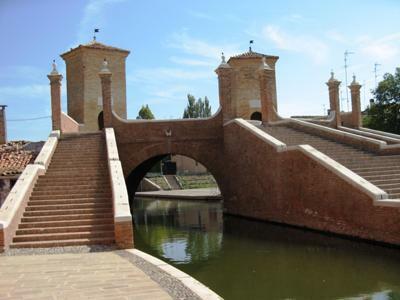 Comacchio is a lagoon city that boasts the most original and fascinating historical center of the Po Delta Park. Floating across the sky in a hot air balloon ride? 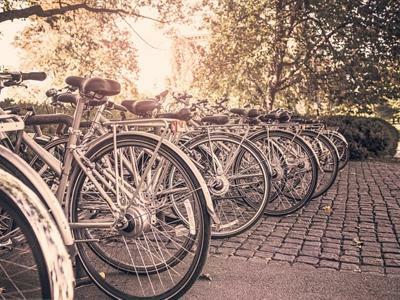 As you have noticed by reading about what to do in Ferrara, the bicycles city is a lively and active place and every season has its own not-to-be-missed event. Among the September appointments is the well-known and unusual Ferrara Balloons Festival which is held in the G. Bassani city park.